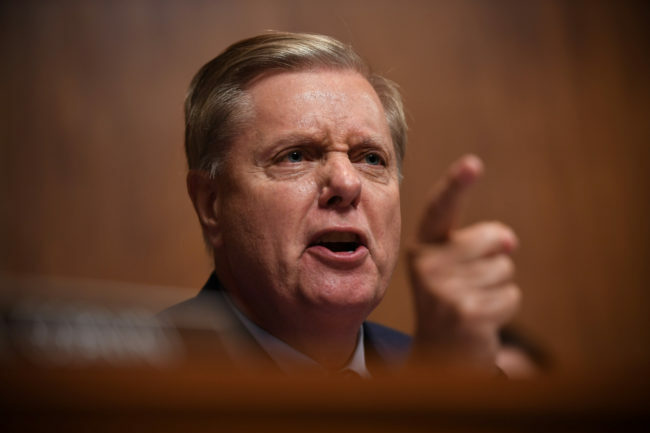 Republican Sen. Lindsey Graham exploded on the Senate Judiciary Committee on Thursday for the way they have handled sexual assault allegations against Supreme Court nominee Brett Kavanaugh. Graham called the entire process an “unethical sham” and slammed Democrats for sitting on the sexual assault allegations for weeks after they first received them. “This is the most unethical sham since I’ve been in politics,” Graham asserted, fuming with anger. Graham concluded by trashing the idea that Kavanaugh was “Bill Cosby in high school” and promised to vote to confirm him to the Supreme Court.